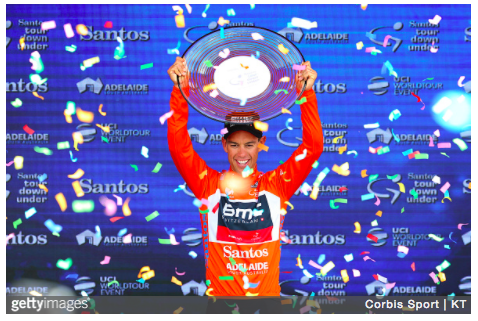 Often a bridesmaid in this event, Richie Porte (BMC) laid to rest demons in finally winning the Santos Tour Down Under. 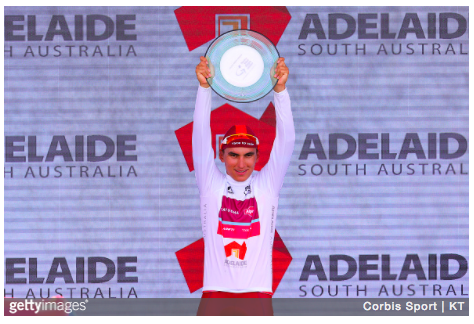 He took emphatic victories with stunning solo attacks on both summit stages, including his fourth consecutive victory atop Willunga Hill, to end the race 48secs and 51secs ahead of Esteban Chaves and Jay McCarthy respectively. 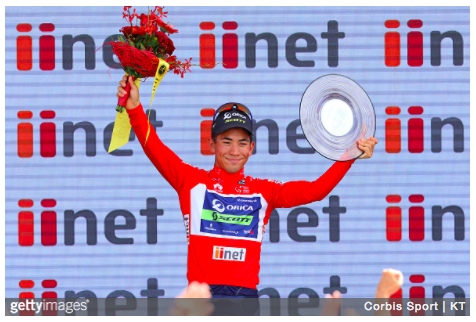 In July, will we look back on this triumph as the first step towards Porte’s successful assault on the Tour? 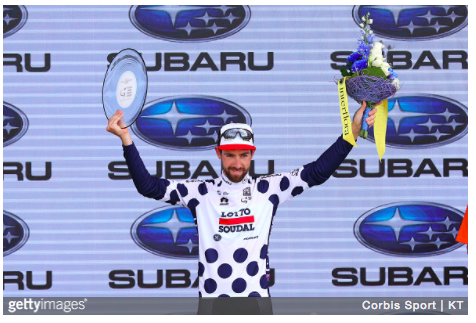 To win the stage like that is great. I get the accolades up there on the podium as the winner, but I can’t say enough for my teammates. Each and every one of them put me in a great position today and it’s just nice to finish it off. With one day to go, I’d love to win this race. I’m so happy. 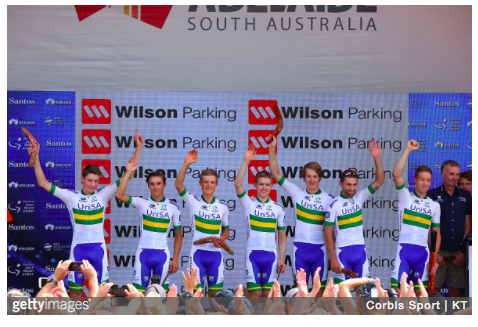 What about UniSA’s team, the only non WorldTour squad in the Santos Tour Down Under who waltzed off with the team prize? The University of South Australia sponsors the team to enable young Australians to ride in the Tour, this year including 19-year-old Michael Storer, the youngest rider in the race who finished runner-up in the Best Young Rider competition. Former alumni include recently crowned Australian national champion, Miles Scotson (BMC) and another neo-pro Chris Hamilton (Sunweb). 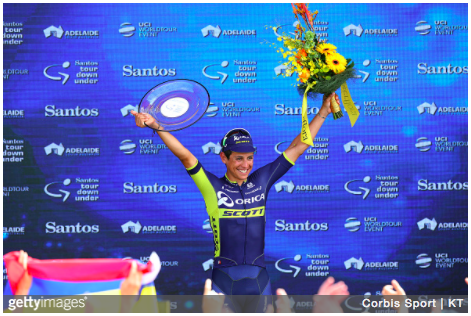 It amply demonstrates the depth of Australian cycling. Last year’s TDU ‘Fresh Face’ was Jay McCarthy, who has moved to Bora-Hansgrohe with world champion Peter Sagan, finishing third this year against a more competitive field. 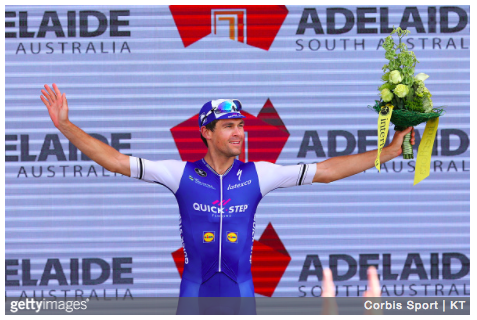 Lying fourth overall after Willunga, Sagan led him out in today’s stage to gain precious intermediate sprint seconds to overhaul Nathan Haas on count back. The top-notch and modern organisation: I said this last year, but it bears repeating. 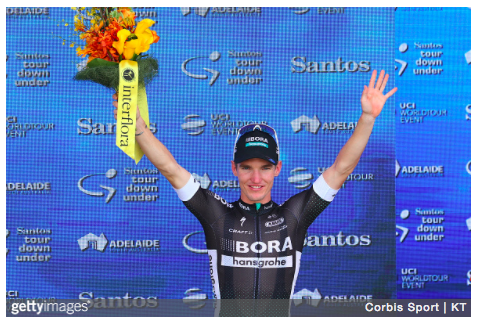 The TDU organisation puts many prestigious European races to shame. Their Festival of Cycling includes both a men’s WorldTour and women’s internationally ranked race, plus loads of activities for fans all week long. While not everyone has the luxury of a single venue host, it’s the way the organisers ensured rider and spectator safety while still allowing significant interaction between the two that made this event such a success. The forward-thinking organisation is also the first to do away with podium girls. Instead, young cyclists, the future of the sport, fulfilled the honours and no doubt were thrilled to shake the hands of their heroes and heroines.